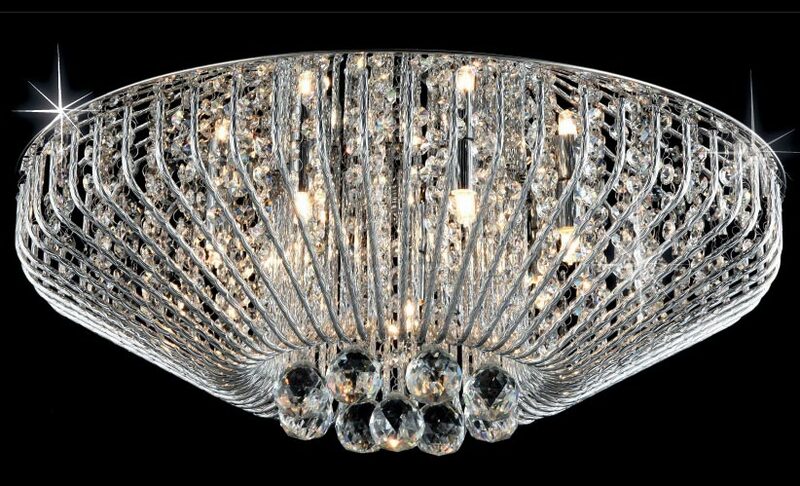 The Carlo 7 light crystal basket flush fitting in polished chrome is contemporary, stylish and practical. Featuring a polished chrome wire basket filled with crystal decoration mounted flush to the ceiling. A modern, compact, flush fitting seven-light fitting that is stylish and practical. It will create a lovely lighting effect as the light passes through the crystals and sparkles into the room.